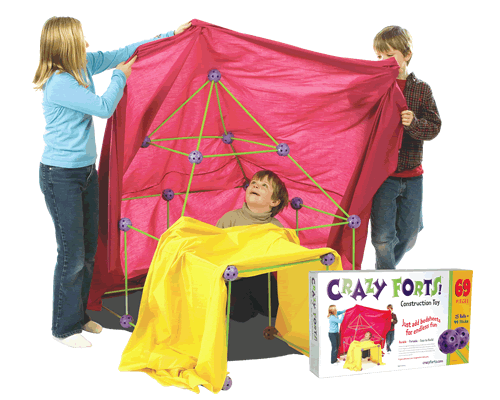 Crazy Forts makes play so easy and so fun. Simply connect the balls and sticks and cover the structure with bedsheets to create places where imaginations flourish. Durable, portable and best of all, there's no batteries required! You can build your own creation, a playhouse for parties, tunnels or connect with friends for spectacular structures. - Includes 25 balls and 44 sticks.